GAINESVILLE- Turlington Hall at the University of Florida is home to hallways saturated with classrooms and faculty offices. However, the doors aren’t always locked when the last professor leaves at night. Students have turned Turlington Hall into their own personal night-time study center, regardless of the two libraries that border the building. “Turlington is nice and quiet, much less hectic than Marston,” said Brett Nelson, an aerospace engineering major at UF. He was using a classroom on the second floor to study for an exam with his classmates Jaren Bannerman, Robert Sheppard and Joshua Manley. The four engineers in training all discovered that Turlington Hall was a place they could use for studying in similar ways. Either through curiosity after exiting a filled-to-capacity Marston Science Library, or through word of mouth from a friend. 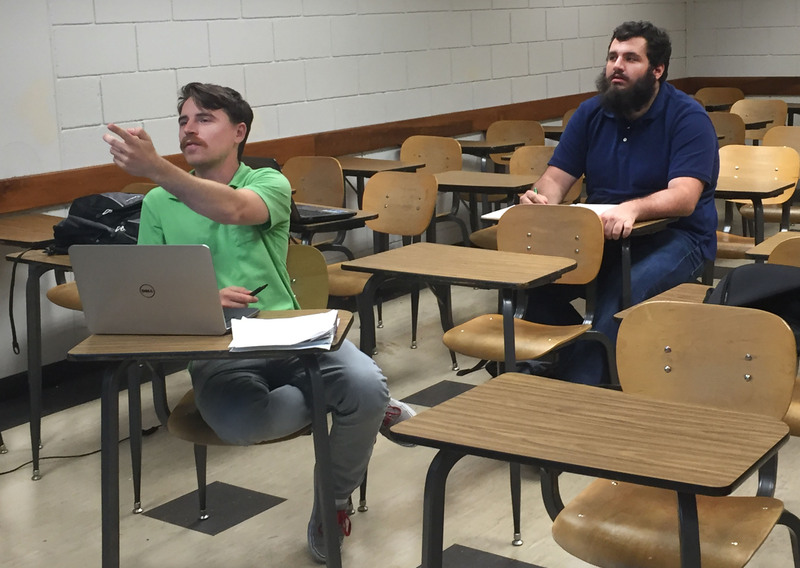 The frequent lack of space in the Marston Science Library isn’t the only reason why these four students say they use Turlington Hall as their primary study location. “It’s a guaranteed chalkboard vs. Marston’s markers that don’t really work,” said Bannerman. The four students said they have never been forced to leave Turlington Hall. They compared to the room reservation system at the Marston Science Library, which they say has lead them to be forced out frequently. Despite multiple Turlington Hall rooms being filled with studying students every weeknight, something else occurs on the building’s second floor every Friday and Saturday. By Smash, Critelli is referring to the video game series Super Smash Brothers. While players surrounded him, cheering and shouting amidst their individual battles, Critelli explained that the Gator Gaming club plays the competitive fighting game in Turlington every Friday and Saturday. 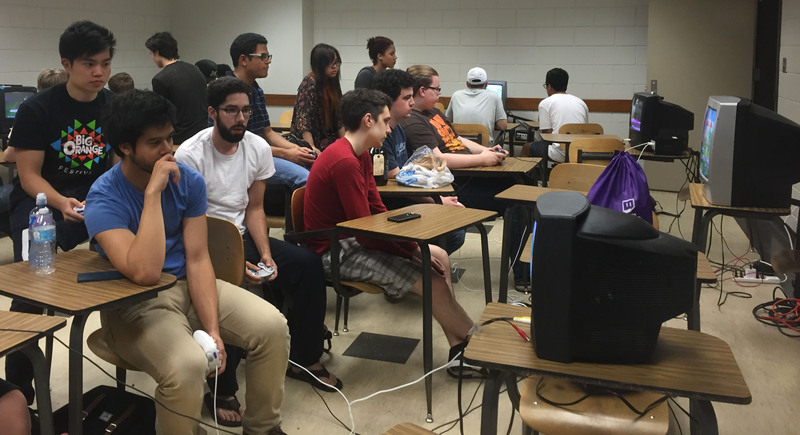 “It has a lot of outlets, chairs, and no one kicks you out,” said Benjamin Braverman, another Super Smash Brothers player and UF student. 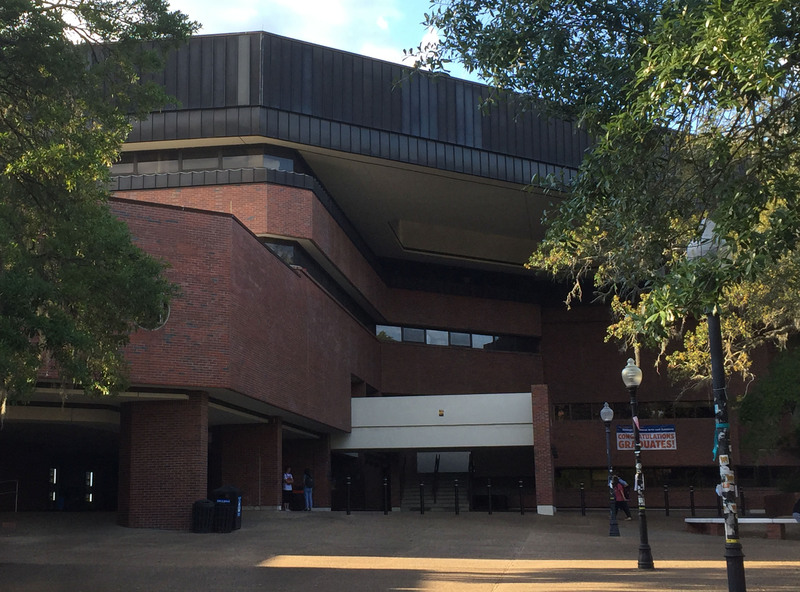 Both Critelli and Braverman cited the building’s central position on campus and guaranteed unlocked doors as reasons why they play at Turlington Hall. Both Braverman and Critelli said they were unsure when students began to play Super Smash Brothers in Turlington Hall, as they both heard about the league through word of mouth. “We’re just playing, having fun,” said Critelli. Critelli and Braverman said they don’t use Turlington Hall to study, but may consider it in the future. Regardless of what they use the building for, Turlington Hall has become a hotspot for students every night of the week. Although students have individual reasons for using the building at night, there are still some unanswered questions. A definitive locking schedule and point of origin as to when students began to use the building remain a mystery.